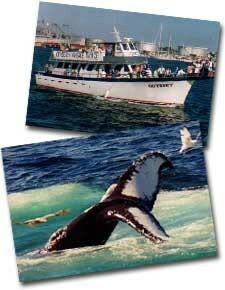 Every year a number of our guests call to make reservations for their visit to Freeport, and, in the process, ask our advice on other places to go and things to see – both while staying in Freeport, and as suggestions for the other parts of their trip. We’re well aware that other people don’t always travel the way we do, but we can give some recommendations based on the way we like to do it. We tend to find a place like Freeport, and plan to stay a few days. Perhaps just two nights (giving only one full day to explore), but more likely 3-5 nights. We use that as a base of operations, from which we can shop or explore the area with day trips, and we don’t have to pack up and move too often. After our several days are up, we move on to another location and repeat the process. 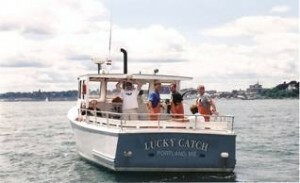 About two thirds of our visitors come into Maine from the south, so Freeport is likely to be their first stop. We suggest staying here 3-5 nights and visiting things within an easy drive of Freeport. 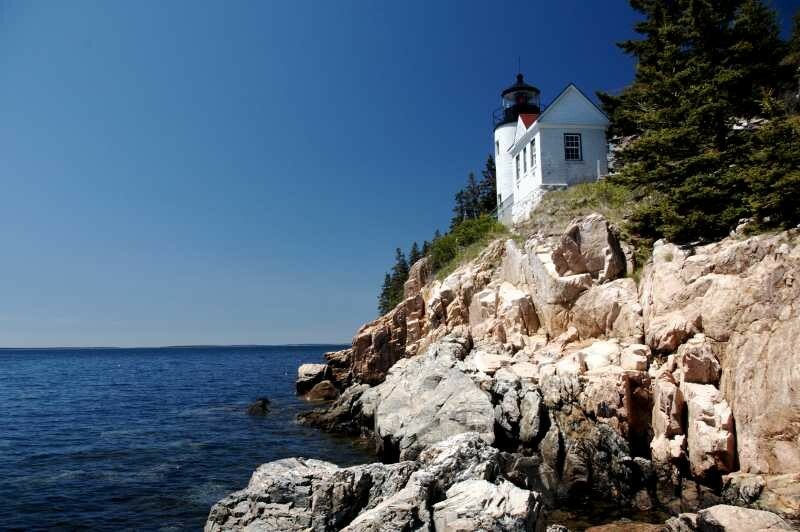 Then, depending on the interests of the guests, and the overall length of their vacation, we suggest they visit the Bar Harbor area (or some of the nearby areas), or one of the inland regions like Moosehead Lake, or the Baxter State Park area. If they have time and interest, perhaps both. What is there to do in these areas? Freeport is widely known as the home of L.L. Bean, and in fact L.L. Bean has five stores in town. All that retail has attracted even more retail, so there are over 160 other shops and restaurants all within a short walk from Brewster House. 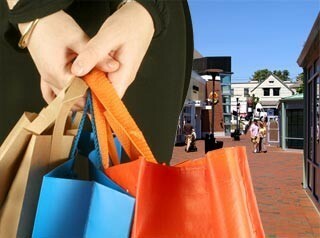 For most people, that provides a day or so of shopping, in itself. 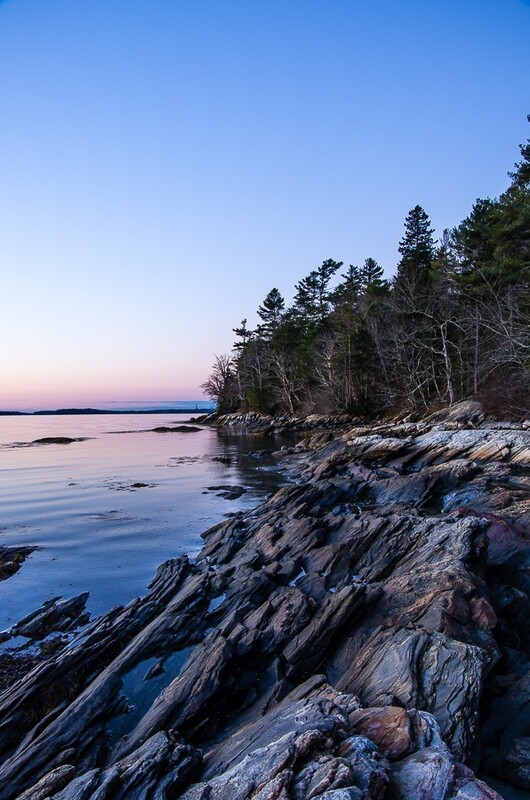 If you like the coast, there are two state parks, Wolfes Neck Woods State park along the water, and Bradbury Mountain State Park inland, within a few miles of Brewster House. Both offer excellent hiking and views. A bit farther away, about 20 minutes or so, are Popham Beach State Park, with its beaches and historic Civil War Fort Popham on the shore, or Reid State Park, with trails, rocks, and beaches, are just the thing. Then, of course, there are lighthouses – are there ever lighthouses! Maine has over sixty lighthouses, and many are within an hour or so drive of Freeport. 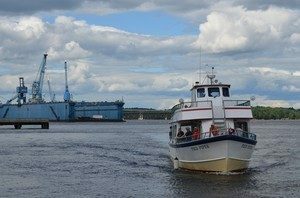 We regularly send guests out with our maps, or more information if they are on our Lighthouse Tour package, to see some of the lighthouses north or south of us. Typically they can visit about six lighthouses to the south in a day, or between 3 and 6 to the north, depending on interests and endurance. Along the way, guests often want to visit some of the many lobster shacks we’ve identified on our map of Maine lobster shacks. Winter: The Perfect Time to Visit Maine Lighthouses? 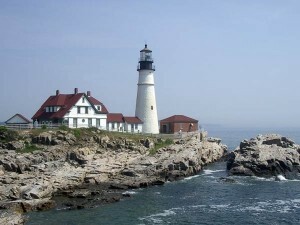 The guests at our Freeport Maine Bed & Breakfast almost always enjoy visiting lighthouses. 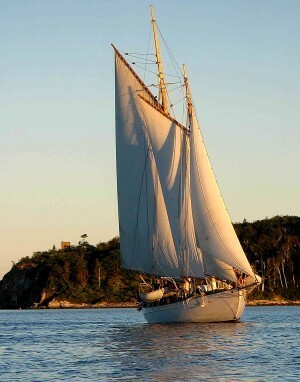 Many are looking for an opportunity to take nice photographs of the lighthouses and their spectacular ocean scenery. We enjoy helping the guests plan their route to the different lighthouses, sometimes making a full day of it (or more), and sometimes just a quick visit to a single lighthouse. One thing that sometimes stands in the way of the “perfect” lighthouse photo is the other visitors, all trying to get their own lighthouse picture. Is there a way to avoid this? Of course there is! If a warm-weather picture is what you’re after, your best bet is to try to visit in late May through June. While the weather isn’t as reliably dry as it will be in mid-summer, most years we have a lot of good weather in these months, and there are far fewer visitors, so it is a perfect time to get those photos of lighthouses, and other popular attractions, without having to work around others who are after the same thing. If you want a really different kind of picture, try coming when there’s snow on the ground. 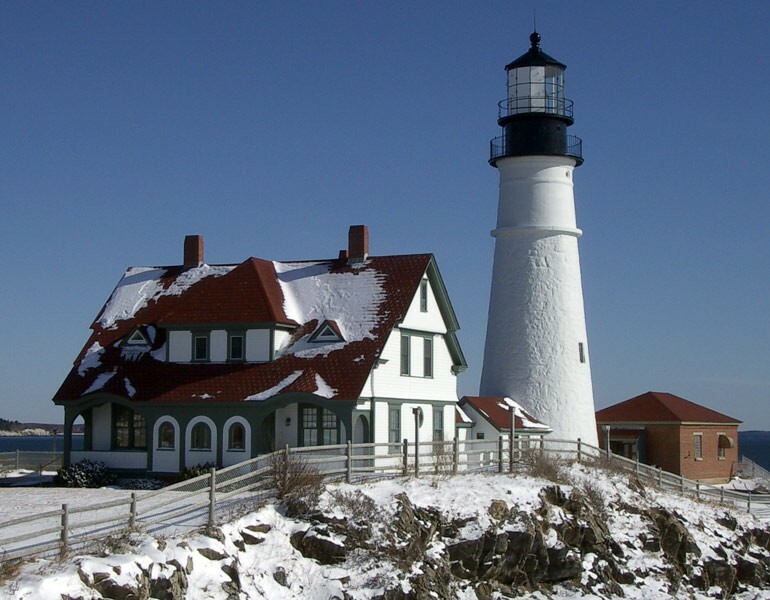 How many people do you know who have taken photos of lighthouses, and other Maine coastal icons, with a blanket of snow on them? 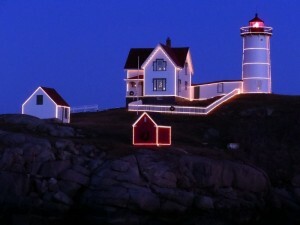 In addition, in December Cape Neddick Lighthouse (the Nubble) is lighted for the holidays, so that makes for even a more unusual photograph. 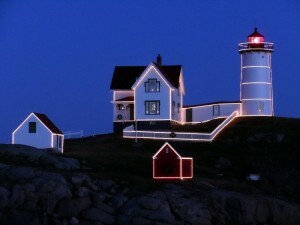 For the less intrepid, however, the lighthouse is also lighted in July, so more people can see it that way. 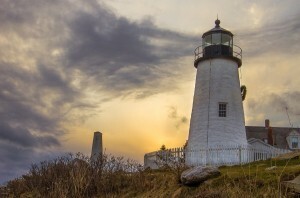 Whatever your preference, Maine’s lighthouses are ready for your photographs, all through the year. We’re here, too, ready to help you plan your stay. 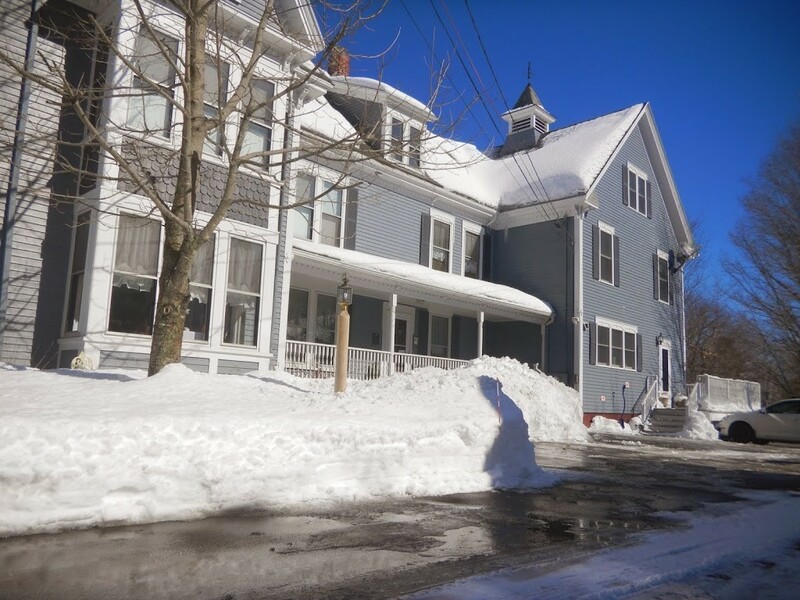 At our Freeport Maine Bed & Breakfast we’ve recently seen quite a few bookings for our specials and packages, especially our Maine Lighthouse Tour package. What is the attraction? Let’s see if we can find out. 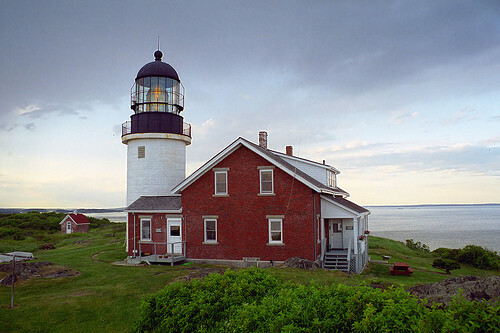 First of all, there are over 60 lighthouses in Maine (check out our Maine Lighthouse Map for the locations), so seeing all of them in a day is somewhat challenging – especially when you consider that some are well off-shore! 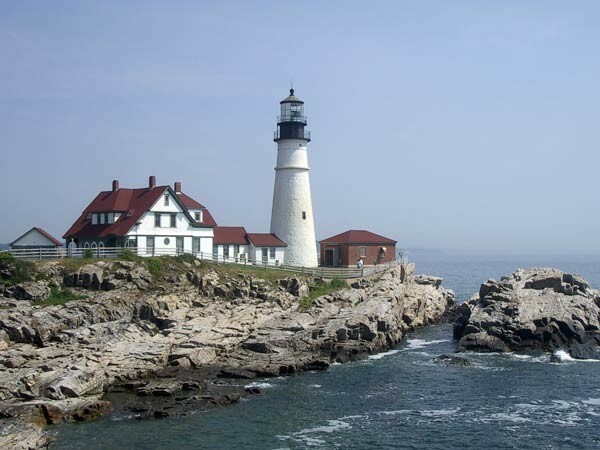 So we’ve made some hard choices, and come up with a tour that will take all day if you do it all, but will take you to seven lighthouses (and you’ll pass tantalizingly close to a few more), and some of the most beautiful and dramatic views along the Maine coast. We begin by getting on Interstate 295 in Freeport, and heading south toward Portland. We’ll exit at Forest Avenue, wind through town a bit, cross the Casco Bay Bridge, and navigate through the beautiful and stately old homes of Cape Elizabeth, until we reach Fort Williams Park. Entering the park (Free Admission!! ), we pass old barracks, a playground, the parade ground, and park near the gun battery. We can explore the grounds, including the old stone house, and another fort, or sit on a hill overlooking the lighthouse, watching kites and sailboats. Portland Head was originally commissioned in 1785 and first lighted in 1790. There is a nice museum in the keeper’s house. Turning left as we leave the park, we’ll make our way through Cape Elizabeth to the road which leads to Two Lights State Park, but rather than going into the park, we’ll pass it by and go to the end of the road, where we can see the twin lighthouses known as “Two Lights,” built in 1828. If there’s room, we’ll park in the dirt lot at the end of the road, then walk out the rocks to get a good look back at the towers, and, if the weather is clear, back down the coast to Portland Head Light. Climbing a small bluff, where Two Lights Lobster Shack is located, there is a great view of the lighthouses, and also out across the bay. We have a choice of returning to US-1 to continue south, or getting on Interstate 295/95, but in either case we’ll want to get back to US-1 at Biddeford, then take the drive from Kennebunk to Kennebunkport on Route 35. This pretty drive goes past some beautiful old homes with interesting histories. If you like, you can also take a small detour to Cape Porpoise, hidden away just above Kennebunkport, and home of Goat Island Light, just offshore. 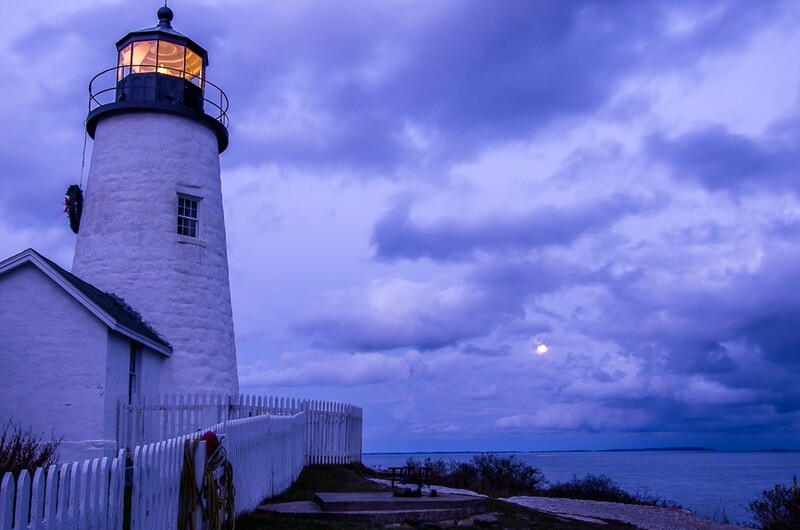 Continuing back to US-1 from Kennebunkport, you pass through several interesting towns – Wells, Ogunquit, York and York Beach, before winding toward the sea and Cape Neddick Lighthouse, built in 1879 (which, interestingly enough, is located in York Beach, not the town of Cape Neddick). The lighthouse is located just offshore on a rocky island, hence the nickname “The Nubble.” The keeper used to cross via boat (and it could be waded at low tide, but that was treacherous, until a gondola and cable system was installed. 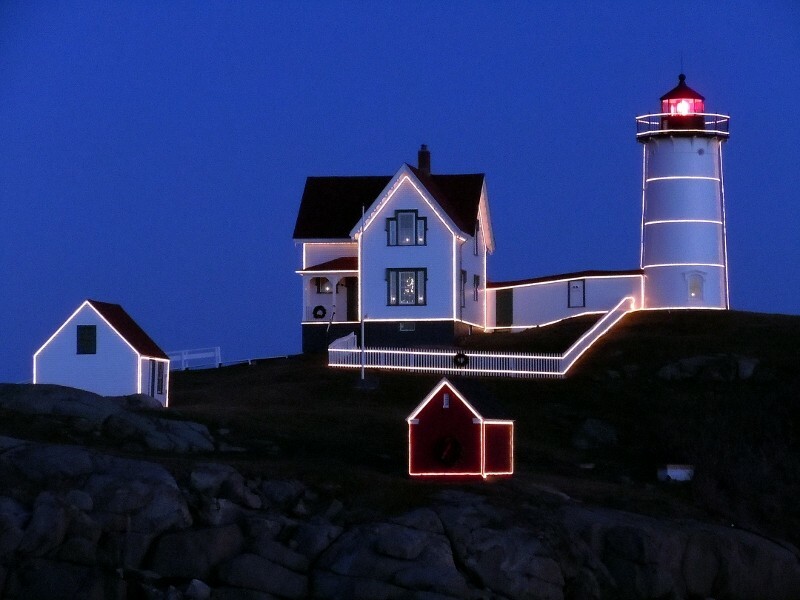 Cape Neddick Lighthouse is lighted in white lights at Christmas, but since many who visit there choose to come in warmer weather and would otherwise never see its decoration, it is lighted again for the month of July each year. 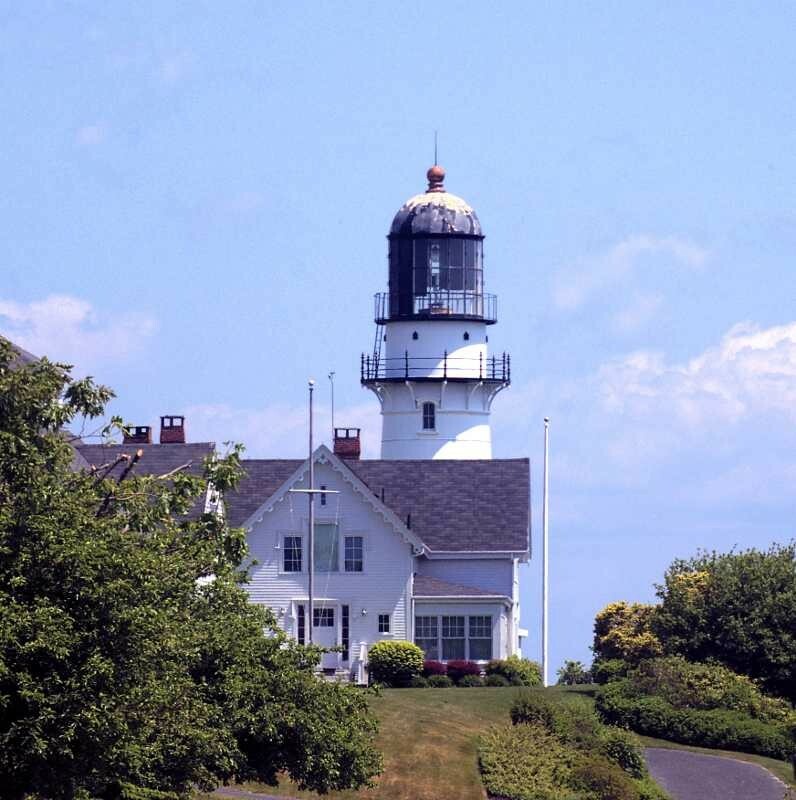 In our next installment, we’ll head north of Brewster House to see more lighthouses!